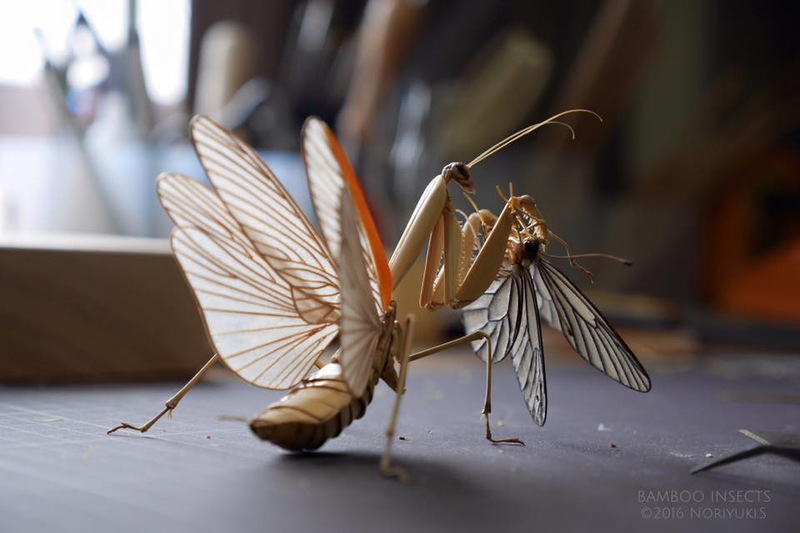 Capturing anatomical essences with uncanny skill, Japanese artist Noriyuki Saitoh constructs life-sized insects using bamboo. The natural material’s versatility lends a surprisingly wide range of colors and textures to each creature. And although the first impression is of insects that are ready to crawl or fly off the page, Saitoh engages a thoughtful process of paring down each bug to its essential forms that give the impression of life.